involved in the Boston Massacre. The election of Donald Trump as president has had a terrifying effect on many of our fellow Americans. One has to look no further than the plans that are being made to have a Protest Scream on Boston Common on the anniversary of Trump’s election and this summer 40,000 of our fellow citizens marched in a “Stand Up to Nazis” event, of course no Nazis were there. This is the state of politics in our Republic in 2017. The politics of self-destruction and negative campaigns that have gone on for decades, seeming only to get more vicious and more personal as well as less issue-oriented and less principled every day. This has turned off a solid majority of Americans from being involved in politics and their government. Those that are involved are blinded by partisan zeal. They seem more interested in scoring political points than in effectively crafting policy that serves our Republic. Such facts could make one cynical about the future of our Republic. Happily there are other facts that can’t be ignored, hidden or forgotten. America is built on big dreams, small dreams, and impossible dreams. Those dreams became facts. America is the place that people from all over the world come to dream big. Without dreams not only America, but most of modern society would be impossible. Without dreams there’d be no airplanes, no satellites, no cell phones, no computers, no movies, no music; what a blighted world this would be if we allowed our dreams to be overcome by our cynicism. The WTP is made of equal parts dream and cynicism. We believe that our current political leaders have lost faith with the Dream that America is founded on. And we still believe in that Dream. All that we do together is to turn that Dream in to a fact. The work of the WTP is by necessity profoundly hopeful. That is not to say that our work is easy. I am confident that working together we will face all the challenges and overcome every obstacle. But this cannot happen without you. The WTP needs you to volunteer your time. 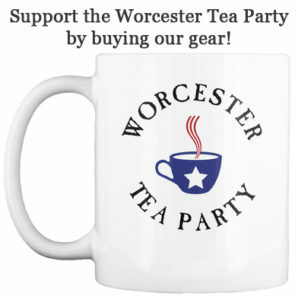 The WTP depends on your donations to support our effort. Follow the PayPal link and give what you can. Thank you for all you do in the cause of Liberty. ← No right to absolute arbitrary power!